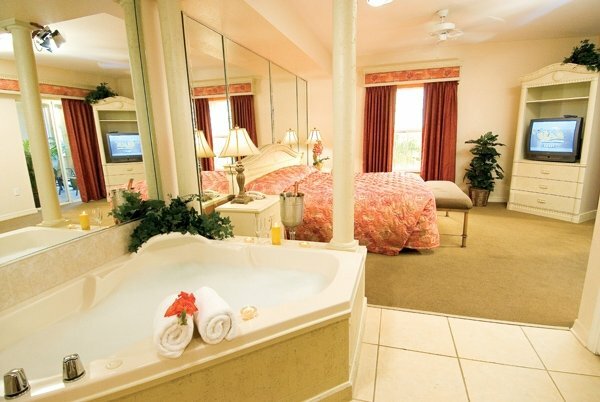 Mystic Dunes Resort & Golf Club is your complete vacation destination. This five-star resort and country club features luxurious timeshare villas with one-, two-, and three-bedrooms. 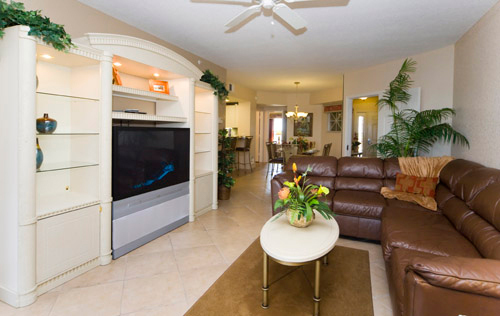 Each villa comes with a fully equipped kitchen, private jacuzzi, and TV with VCR. One bedroom units sleep four and feature a queen or king bed in the master bedroom, and queen sleeper sofa in the living area. Two bedroom units sleep eight and offer a king bed in the master bedroom, queen bed(s) in the guest room, and queen sleeper sofa(s) in the living area. Three bedroom units sleep 12 and feature a king bed in the master bedroom, two queen beds in the second bedroom, a queen bed in the third bedroom, and two queen sleeper sofas in dual living rooms. Take a swing at Mystic Dunes Resort & Golf Club's 18-hole championship golf course, Mystic Dunes. Designed by PGA tour professional Gary Koch, Mystic Dunes challenges you with 80-foot elevation changes, rolling sand dunes, mature oaks, and large wetland areas. If you don't feel up to tackling the Dunes, take some practice shots on the 60,000 sq. ft. driving range. 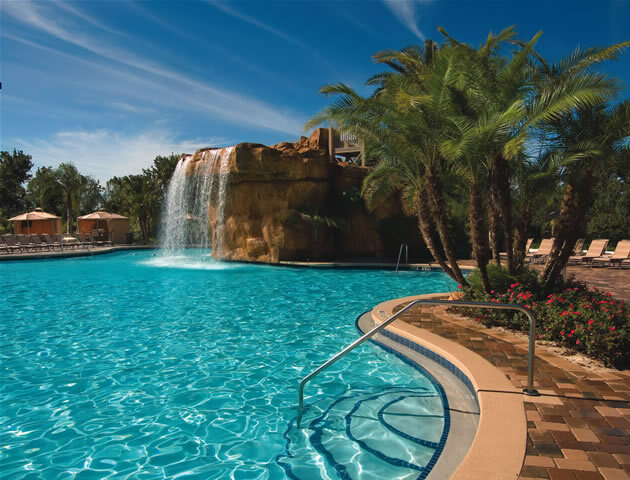 Mystic Dunes Resort & Golf Club offers a variety of additional on-site amenities including three heated swimming pools, lighted tennis and basketball courts, children's playground and wading pools, and an 18-hole miniature golf course. After a long day at Disney or on the golf course, stop in the Clubhouse Bar and Grille for a casual meal or just a drink at the bar. Mystic Dunes Resort & Golf Club is just minutes from Orlando's major attractions including Walt Disney World, Magic Kingdom, Epcot Center, MGM Studios, SeaWorld, and Universal Orlando.